Shimmer in rose gold and black with the Figleaves Curve beach kimono. This standout piece will be your ultimate holiday coverup. 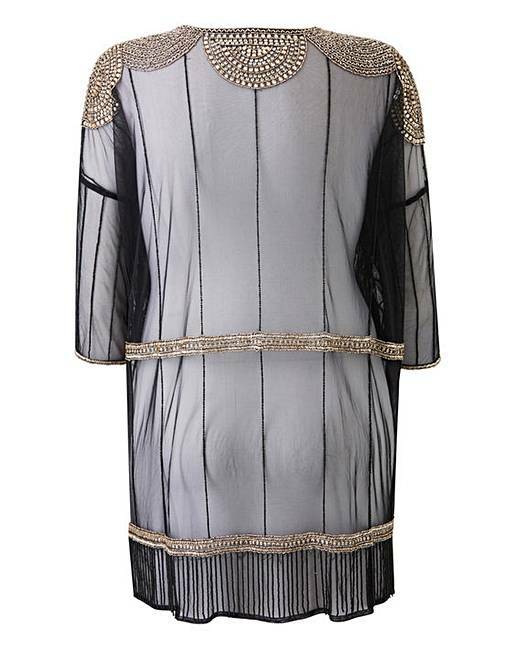 Featuring all over intricate beading to front and back, with fringing to hem. This easy-to-wear piece looks great when worn over a simple one piece or even as a beach to bar throw on.